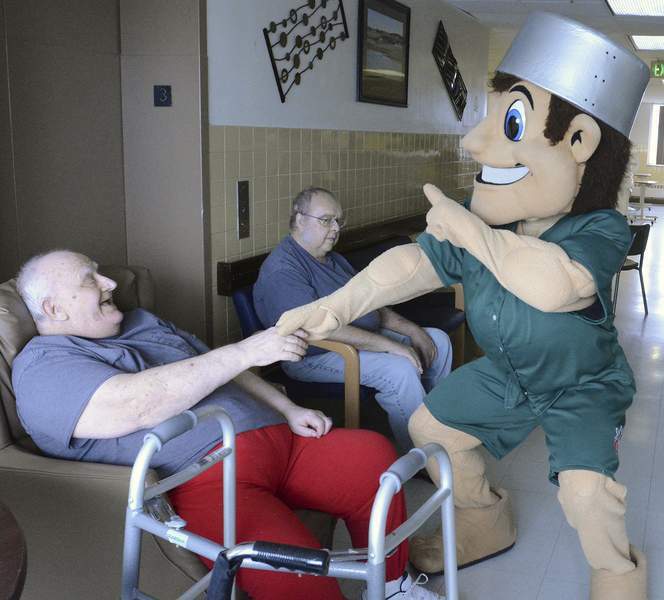 Cathie Rowand | The Journal Gazette Johnny TinCap visits with baseball fan Dewey Conley at Byron Health Center on Monday to welcome in both springtime and the upcoming TinCaps baseball season. This is the third year in a row that Johnny has made a visit to the center. Johnny TinCap visits with baseball fan Dewey Conley at Byron Health Center on Monday to welcome in both springtime and the upcoming TinCaps baseball season. This is the third year in a row that Johnny has made a visit to the center.